Hardbacon, the Montreal startup that returned from a stint at Queen City Fintech at the end of last year, has officially released its iPhone app this morning. 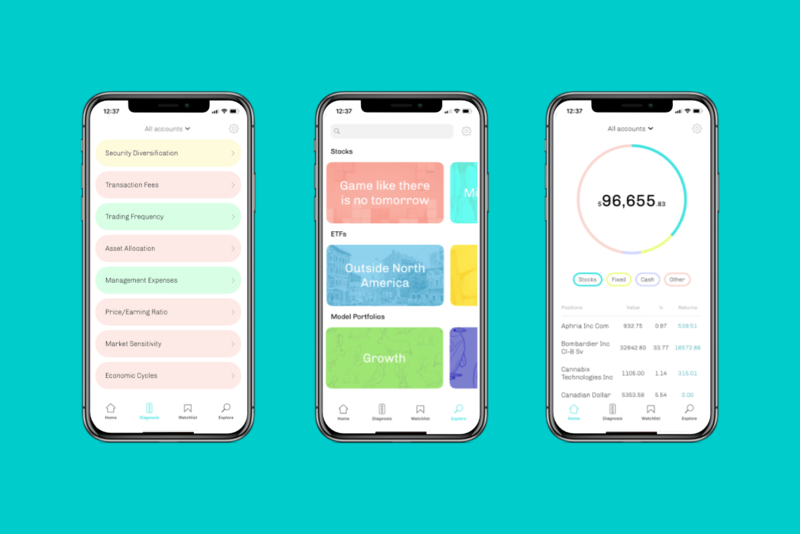 The finance-focused app hopes to become the “Netflix of investment” in Canada, providing access to tools and financial data for just $5/month. The app is compatible with a dozen online brokers including BMO InvestorLine and TD Direct Investing. It offers real-time analysis of users’ stock market portfolios so they can monitor their investments. The idea for the app was born out of Brault’s own frustrations as a self-directed investor. “I had a platform I used myself as an investor, and those types of platforms come from another age and are horrible. I felt like I could build a better platform for investing online,” Hardbacon founder Julien Brault told MTlinTECH. The first idea was to launch another brokerage, but Brault quickly pivoted. Hardbacon raised nearly $70,000 in a crowdfunding campaign last spring, as well as investment from Queen City Fintech in Charlotte, North Carolina at the end of last year. The company was the first Canadian company to participate in the American accelerator specializing in fintech, and that experience helped the company understand both the challenges and potential solutions for marketing the application in the US. “In Canada, it’s pretty unique to be honest. What we’re doing is connecting to all your investment accounts, and then with that data we display all your investments in one place. You can have all of the information you need on each of your positions. There’s a lot of stuff that sounds like it would be obvious that a brokerage firm would do, but it’s not. For example, we’re going to convert it in Canadian and tell you how much in fees you pay. And then we’ll have the portfolio with eight different indicators, and reporting as well,” Brault told MTLinTECH in November. The company also announced the addition of François Barrière, former Senior Vice President and Treasurer of Laurentian Bank, to its advisory committee. By leveraging its powerful connections, such as a partnership with Thomson Reuters, Bloomberg’s biggest competitor in financial data, Hardbacon is able to provide its customers with better data than that provided by brokers. The startup also owes its integration with the major Canadian brokers to its partner Wealthica, the country’s leader in investment account aggregation. The app already had 210 subscribers ahead of launching, bringing monthly recurring revenue to more than $1000. That’s impressive considering the company hadn’t yet launched and didn’t inform its email list about the app. The newly launched app is already being promoted by Apple, which has included it in its list of “New apps we love” in the App Store.